My father became disabled when my sisters and I were young. Our family nearly lost everything, but my parents got good legal advice and persevered. My mother became a paralegal for the attorney who helped us. My father became our hero who preserved our future through wisdom, frugality and dignity. And I became a personal injury attorney focused on matters of personal injury, workers’ compensation, and wrongful death, who truly understands when serious personal injuries hit home. Today, as a father myself, I passionately strive to help those in Asheville and the surrounding area, who suffer disabling personal injuries or the loss of a loved one find justice while working to protect children from carelessness. Many of our clients are unable to take care of their families or themselves because of serious injuries, or they have unexpectedly lost a loved one. They need clear and frank advice, but most of all they need us to take action to protect their rights and to seek reasonable compensation. Ultimately, it takes knowledge, resources, dedication, and hard work to help our clients through what possibly is the toughest time of their lives. Small but resourceful enough to give highly-personal, effective service. Especially in today’s technology-immersed world, we believe that our clients are best served by regular, face-to-face meetings about their matters. Hiring a professional, any professional, to help with a serious matter can be downright scary. We understand and respect that better than most. Accordingly, we don’t askfor a client’s trust. We gain it by being respectful, decent and simply doing what we say we are going to do. Although we help those who have been injured or who have lost a loved one, we are most passionate about helping disempowered workers and innocent children who become disabled by serious injuries. We respect all human experiences, and we strive to protect lives, liberties and our diverse pursuits of happiness. And when serious injuries or a loved one’s death affects those rights, we dedicate our professional efforts to seek fair and just compensation, as well as to shape attitudes about safety and to effect reasonable, protective changes. Ultimately, we believe that the law allows ordinary people to do extraordinary things. In 1998, we started a new law practice keenly focused on the above principles. Our practice primarily has been built upon referrals from former and current clients, attorney colleagues, and other community members, all who have confidence in our services. Ultimately, we always encourage prospective clients to ask about our reputation in the community. J. A. 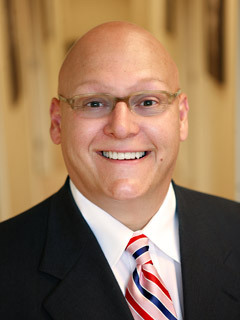 (Jay) Kerr Jr.
Jay started his legal career in 1988 focusing on real estate development law, a passion grown from an extended family of builders and developers, including his father, who was a former president of the Charleston Home Builders Association. Between 1990 and 1993, Jay served as president and in-house counsel of a former mid-size residential construction company, operating in North Carolina and South Carolina. Today, he remains active in real estate while managing family investment properties in Charleston, SC, and being an avid student of New Urbanism. Jay’s extensive knowledge and experience in construction and development provides a practical appreciation for the nature of property hazards and the legal area of premises liability. Consequently, his practice concentrates in helping those who have been injured by hazards on private or business property, and especially within the construction industry. However, as a father, Jay also is passionate about protecting children from carelessness. Accordingly, over his legal career he has concentrated in helping children who he believes have been harmed by carelessness, whether through healthcare malpractice, in vehicular collisions, by property hazards, or otherwise. Jay has authored numerous articles on various topics surrounding workers’ compensation and premises liability law. He is the editor of the General Negligence and Premises Liability Chapters for the North Carolina Manual of Complaints, as published by the North Carolina Advocates for Justice and LexisNexis. He has lectured on various workers’ compensation and premises liability law topics on behalf of the North Carolina Advocates for Justice. Furthermore, he also has lectured to nurses seeking national certification on the legal aspects of life care planning for the catastrophically injured. Melissa is a Western North Carolina native who began working with Jay in 1992 at the former Asheville firm Swain, Stevenson, Moore & Kerr, P.A., focusing on personal injury litigation. 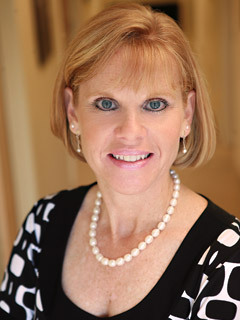 In 1998, Melissa joined Jay to continue work in personal injury litigation when he formed Jay Kerr, P.A. Melissa has always had a great appreciation for the wonderful people of Western North Carolina and its splendid culture. Today, with nearly twenty years experience as a paralegal professional, she uses her exceptional talents and skills to help the hard-working members of her community seek deserving justice. She sees her work as a privilege, and not merely a career. Her hard-work, dedication, trust and loyalty to our clients and to her colleagues have been at the foundation of the firm’s success. Melissa is a 1989 graduate of the University of North Carolina at Asheville, where she obtained her Bachelor of Arts degree in Political Science (Pre-Law). She is a North Carolina State Bar Certified Paralegal and a member of the Legal Support Staff of North Carolina, Inc.
Lisa is a native and lifelong resident of Western North Carolina. After starting her career in Asheville working with a prominent real estate and legal defense firm, she joined Jay Kerr Law in 2008. Lisa gravitated to the personal injury field because of her desire to help families in Western North Carolina which have experienced hardships due to work place injuries, motor-vehicle collisions, healthcare malpractice or general negligence. In addition to a focus on client relations, Lisa assists with firm marketing and business administration, and applies her extensive knowledge of computer technology to firm case mediations and trials. Lisa graduated from South College-Asheville in 2004 with an Associates of Applied Science Degree in Paralegal Studies.